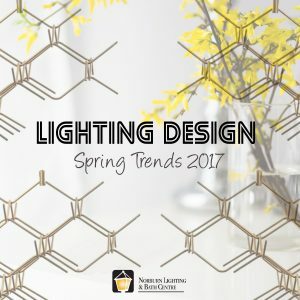 Posted April 10, 2017 by Norburn Lighting and Bath Centre & filed under Bath Accessories, LED . 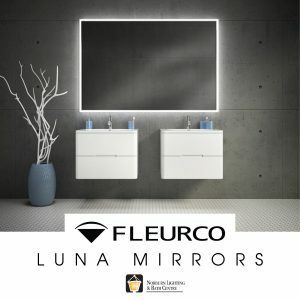 If you haven’t seen the Luna mirrors from Fleurco yet, you’re missing out! Fleurco has been in the industry for 50 years, designing and manufacturing innovative freestanding bathtubs, shower bases, shower doors, and lighted mirrors. In the past months, we have introduce the Halo lighted mirror, and the Sunrize lighted mirror from the Luna Mirror collection. The Halo Lighted mirror can reach a brightness of up to 1725 lumens, while the Sunrize mirror provides 630 lumens. The bright light allows for better visibility for daily tasks. Both the Halo and Sunrize mirror have a kelvin temperature of 3500K which leans more towards white or cool tone. This is an ideal colour temperature for bathrooms because it appears brighter to the eyes and gives the impression of a clean space while enhancing contrast. Those who are fond of warm baths and showers are familiar with fogged mirrors. 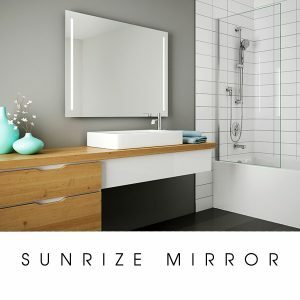 These lighted mirrors eliminate the need to clear off a mirror, due to their built-in defogger pads for a fog free reflection. Lighted mirrors in a bathroom creates a luxury spa feel and enhances the value of a home. 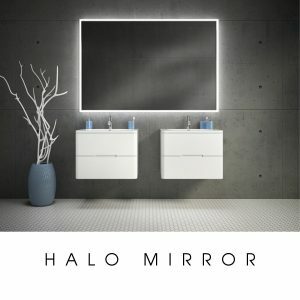 The Halo mirror is a back-lit mirror that creates an evenly distributed glow around the mirror. The light accentuates the mirror and brings a sense of depth to a room. The Sunrize emanates light from both the left and right side of the mirror which focuses more on illuminating the face for better visibility especially when grooming and applying makeup. These Luna Mirrors have been tested and certified for safety. They are UL and CUL certified, and IP44 rated. In other words, these lighted mirrors have passed testing to ensure that they are safe to be installed in particular areas of a washroom where they can potentially be exposed to moisture or splashed with water. In addition, these items are backed with a 5 year manufacturers warranty. If you would like more information on Luna Mirrors by Fleurco, contact or visit our showroom. Our team of Specialist are always happy to help with both your lighting and bath needs.